Charity of Choice - Le Jardin Community Center, Inc. Le Jardin Community Center is able to further enhance the lives of the neediest children and families of Homestead and Florida City with donations from generous contributors like you. The computer you see the left was a generous donation for Hatch computers for our classrooms several years ago. Children use this technology to play education games, read interactive books and realize that learning is not only important, but also fun! Your generous donations help us make dreams like this a reality for these children. Every donation to our program helps us provide services to the children and families whom need it the most. There is no donation too small. Classroom supplies, educational toys, age-appropriate books, etc. are all great ways you can support us as we help improve our local community. Monetary gifts are always appreciated and allow us to further the vision of our programs. 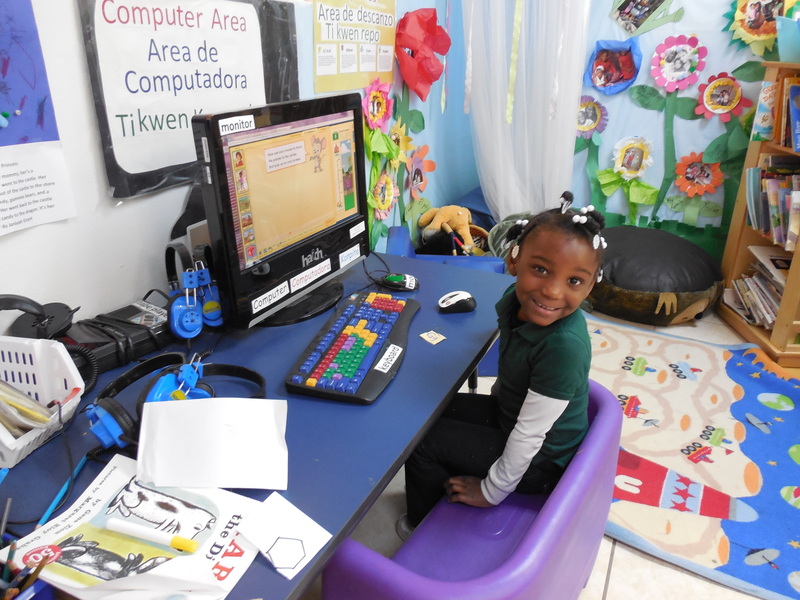 Individuals or companies can help in various ways such as adopting a classroom to replace worn furniture, educational toys, and update technology. Thank you to our Sponsors for the Art and Jazz Under the Stars Event 2018! Alex Permuy -Halmac Development Inc. Le Jardin Community Center would not be as successful without the partnership of numerous Friends that help our endeavors. These are some of our lasting partnerships. We thank them all for their support! T.R. Jones & Company – A Division on Brown and Brown of Florida, Inc. Recent Contributions from Dedicated Supporters like You! 2017 Community Grants Awarded. 50 nonprofit organizations serving Ocean Reef, Homestead, Florida City and the Upper Keys gathered at Carysfort Hall to meet and receive their 2017 Community Grant awards from the Ocean Reef Community Foundation. With a recent donation of dress clothes from Michelle McDaniels, Le Jardin Center 1 held a Dress for Success event where parents could put an outfit together for job interviews, meetings and events. Parents tried on a variety of items and received some hair style ideas from one of our volunteers. We wish our parents success. Dr. Fabiola Ortega is a pediatric dentist who works at the Children Dentistry of Palmetto Bay.She raised money and purchased 120 gifts for all of center 5. She brought her son and some friends so that they could distribute the gifts. One of our parents takes her children to this dentist and that's how she found us. Ms. Ortega made contact with our Family Worker, Isabel, and was able to bring all the gifts.She also made goody bags that included a toothbrush and toothpaste for all 120 children. Thank you to the members of the Miami Global Colombian Lions Club for their generous donation for bicycles for children at Center 3 on 12/11/15. The families are so grateful for brightening this season for their families. On October 22, 2015 the Philip and Patricia Frost Museum of Science came to read the book Not Norman to our students. Thank you Wings of Gold - Miami Chapter for the school supply donations of 100 boxes filled with various educational supplies. Thank you Wings of Gold and Carmen Mercado for your ongoing support and partnership with Le Jardin Community Center. The Latin American Motorcycle Association (LAMA) donated school supplies for 160 children at Centers 3 and 5 on august 23, 2015. Members of the club were able to meet needy children and families in Homestead and the families were able to personally thank this generous donor. Thank you for your contributions to children in our local community that need it most; we look forward to a lasting partnership with LAMA. Crystal Blaylock, Jan Ledford and Monica Franceschi visited Le Jardin Community Center Site 5 room 3 with Holiday gifts on December 12, 2014. Thank you for supporting our children and their families during this holiday season. On December 8, 2014 St. Phillips School and Santa visited the Head Start and Early Head Start students of Center 2. Thank you for brightening the holiday season for these children. On November 5, 2014 Dr. Andres Rodriguez volunteered his time to visit several of our students in need of physical exams. Dr. Rodriguez is a local pediatrician and we are so thankful to him for contributing to his community by helping these wonderful and needy children. On July 7, 2014 the Miami Global Colombian Lions Club generously donated the materials and labor to replant our butterfly garden at Center 2. Lions from the Club dug up some of the old plants and replaced them with fresh healthy new plants to attract butterflies. Some plants attract butterflies because the butterflies enjoy the nectar of the flower and other plants attract them because the caterpillars enjoy eating these plants. The children will enjoy learning the science of planting, metamorphosis in the life cycle of a butterfly and using their senses while they learn and have fun. Thank you to the Lions Club for this generous donation to our students. We would like to thank Dr. Eduardo Barreiro of the Title I Migrant Program for his generous donation of books to Le Jardin. Dr. Barreiro's team of staff and volunteers sorted through hundreds of books to find age-appropriate books that would be beneficial to our Head Start and Early Head Start students. The books were delivered to our Center 2 location on June 20, 2014. The Wings of Gold Motorcycle Club of Miami visited Le Jardin center 1 on their first Easter Motorcycle Run in 2014 for the center. The club members circled the center with their motorcycles carrying educational baskets for our children. The children enjoyed the excitement! Le Jardin will be working with the club again during the new school-year. 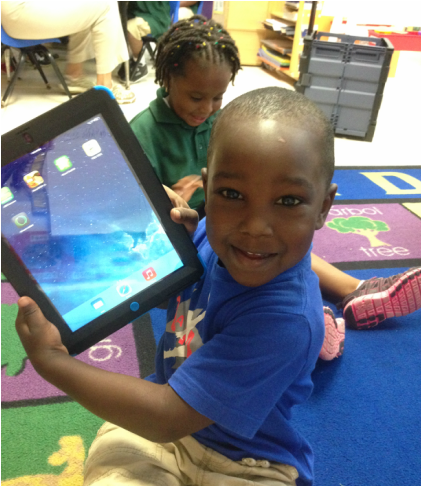 December 2013, Central Florida Equipment generously donated new toys for all 512 of our students. Almost every child that attends Le Jardin lives below the poverty line, and Christmas presents are a luxury they are not always awarded, but this year every child that attended Le Jardin received a Christmas present. You can see the smiles on the children's faces as Central Florida Equipment brightened their holiday season. The children and their families were most grateful for this wonderful donation. December 2013, the Miami Global Colombian Lions Club donated new toys our students at Center 3. These children were thrilled to receive a special gift from this generous organization. You can see the smiles on their faces as they opened the presents. The children of Center 3 and their families were very grateful for this wonderful donation.